Welcome to Heartland Homes. We are a prestige company delivering homes of distinction that reflect the individuality of their owner. We take pride in attention to detail and the professional manner in which every stage is completed to exact specifications. Custom Green Constructions create unique, highly efficient homes designed for comfort, performance and aesthetics. Beechwood Homes is the renowned home builders in Adelaide, offering brand new homes that suit your individual style and needs. 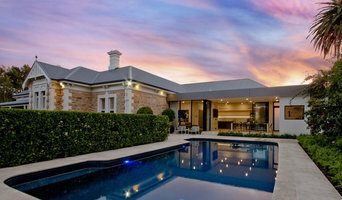 Beechwood Homes builders in Adelaide work alongside you to learn exactly what you require from your new home. Our services including Custom Design & Build, Difficult & Sloping Land Build, Knockdown & Rebuild, Renovation & Extensions, Subdivision & Development, Commercial. To take our services call us on (08) 7422 1100. Above Board Floor Sanding services SA in sanding and polishing, all aspects of installation and repair work.We pride ourselves in quality and customer satisfaction over the past 15 years. The Pergolarific has a wide variety of outdoor living solutions such as carports Adelaide products. We have the team that boasts on their experience and knowledge in the industry that has the ideal space to provide the service. It is our goal to enhance the home and lifestyle by adding the perfect pergolas, decks and carports in your home. You will be amazed as well as satisfied with our work and make the proper value for that, and for that just call on: (08) 8391 0419. Improve your lifestyle by adding value to your home and solve your space problems. Explore us to know about our services. Ground floor, upper story home extensions and alterations services available in Adelaide at unbeatable prices.